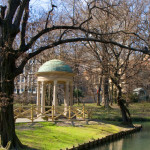 This is the largest park in the heart of Milan, full of important historical buildings – from Castello Sforzesco to the Arena Civica, from Arco della Pace to the Triennale – and built in the “English” Romantic style with a small lake. You can book two educational itineraries organised by the Voluntary Ecological Guards (GEV) to discover 50 different species of labelled trees. To book: tel. 02/88464456. 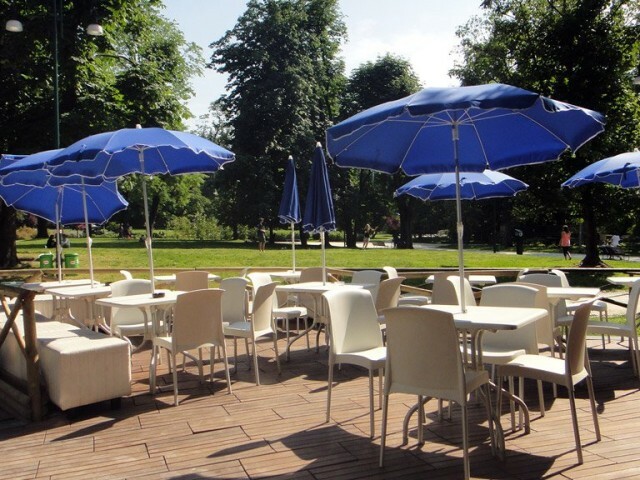 Inside the park there are also six kiosks and two very trendy bars where you can take an aperitif: Bar Bianco http://www.bar-bianco.com/ and Bar della Trienniale. 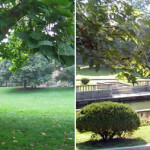 Built in the late 18th century with "French-style" installations and two small lakes, the gardens are the first city park designed for public use. 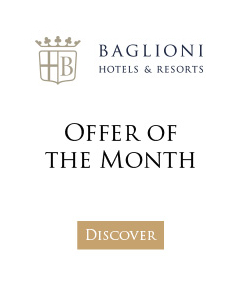 They extend between Corso Venezia, the Bastions of Porta Venezia, Via Manin and Via Palestro. They contain a number of buildings of historical interest: Palazzo Dugnani, the Municipal Museum of Natural History, Planetario Ulrico Hoepli. In May, there is the “Orticola” floral-nursery exhibition market, while from July until early September there is the Arianteo film festival. 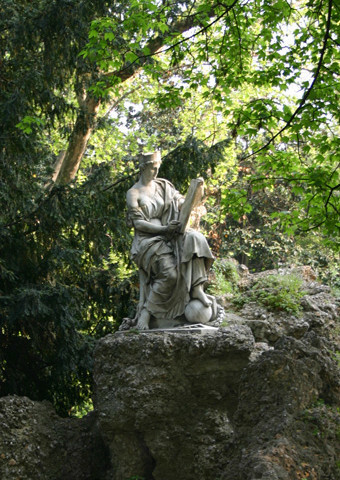 This is one of the first "English-style" gardens built in Milan and commissioned by Count Lodovico Barbiano di Belgiojoso. It contains important historic buildings: the Museo dell’Ottocento, now the Gallery of Modern Art (GAM). 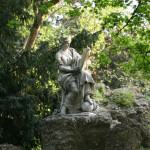 Adjacent to the garden, there is the Padiglione d’Arte Contemporanea (PAC). The garden is crossed by a small stream that flows into a pond with a small island in the middle which houses a small temple dedicated to Love. The park, known as "Basilicas Park ", is situated between the basilicas of San Lorenzo, the only example of a Byzantine church in Milan, and Sant'Eustorgio, from Roman times. 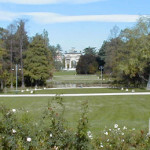 It features two large geometric lawns. 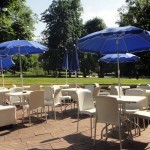 There are no refreshment areas, but it is a perfect place to enjoy an hour of relaxation or a walk among the greenery. An example of an Italian-style park, it was commissioned by Countess Paola Ludovica Torelli della Guastalla and finished in 1555. It was later restored and opened to the public in 1939. Inside, there is a baroque jewel: the fishpond. With stone balustrades and an iron railing, it is formed by two terraces that are connected by four flights of stairs, a 17th century kiosk and a neo-classical tempietto (shrine) by Luigi Cagnola. 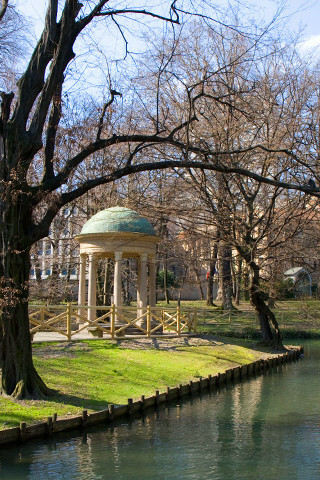 The park is surrounded by Via Francesco Sforza, via San Barnaba and via Guastalla.